this time. 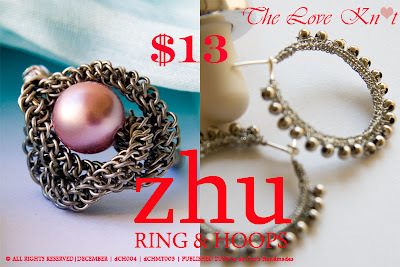 For those who are interested in how Chinese Knot can be integrated with Wire Jewelry making should purchase this guide. Similar to PIPA Knotting and Skylark Knotting, I am introducing another Chinese Knot that has unlimited potentials in Wire Jewelry Making – let your imagination run wild and you shall see the amazing outcome. This ring is just a media for me to knowledge transfer the technique. This step-by-step guide was composed using 69(including coverpage) high-resolution pictures. In this document, it also listed out the tools and materials used to achieve this composition.